Concrete barriers intended to hold back tank leaks in the radioactive water storage have filled with rainwater and began to overflow today. 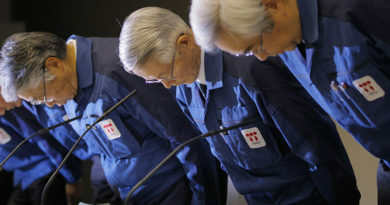 Jiji via Ex-SKF reports that TEPCO is checking to see if the overflowing water contains contamination from the tanks. Any water leaving the barriers would have an open path to the sea via the drainage canal nearby that TEPCO has refused to deal with.